In case you haven't heard, we're having a sale! That's right, all of our Fri-Dies are 20% off through Sunday, Feb 1st. 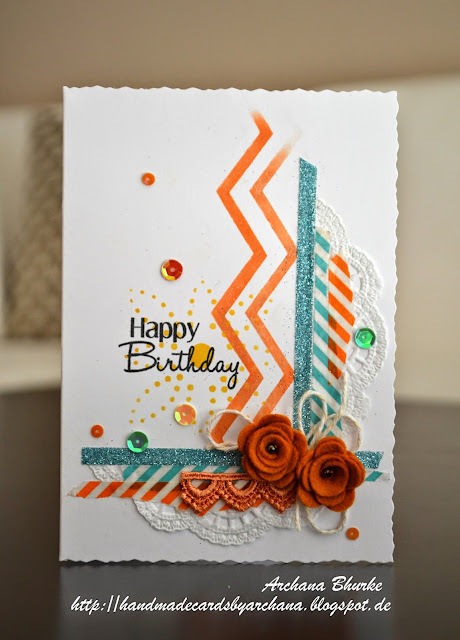 Today I'm sharing a wonderful tutorial created by Girl Friday Archana from our challenge. to create gorgeous felt roses, and you just have to see it! and your felt roses are ready. You can add bead or pearl in the centre. while they last at 20% off. No code needed! Love those flowers! And your cards as well. Beautiful card, love the layout!